As academics get more and more competitive, it's become quite normal for students to take on heavier workloads. Unfortunately, this can often lead to students taking on too much and suffering from academic burnout. If you suspect your child is feeling burned out, this information from The Tutoring Center, College Station can help. Academic burnout may be hard to catch because its symptoms may not seem very serious at first. Students who are feeling burned out will be exhausted and not just tired. This mental, physical, and emotional exhaustion won't go away with a good night's rest either. 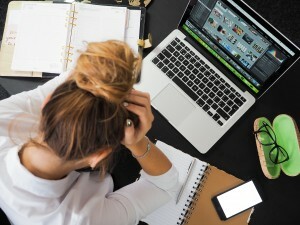 Students who are burned out will also feel overwhelmed and stressed constantly, making it hard for them to feel like they're accomplishing anything no matter how hard they're working. The overwhelming stress can even lead to changing habits, such as missing meals and no longer enjoying activities they once loved. Since burnout isn't something that happens suddenly, it also won't go away from one day to the next. To overcome burnout, your child will need to make lifestyle changes that put their health above everything else. In some cases, students may have to drop some activities and set more realistic goals and expectations for themselves. Be supportive and be sure your child knows that they can go to you for help and advice when they need it. To help your child reach their academic potential this school year, enroll them in tutoring in College Station. Check out the academic programs offered at The Tutoring Center, College Station TX by giving their learning center a call at (979) 402-1033. Don't forget to ask about your free diagnostic assessment!